Oh my word! You have checked out Nicole’s list of the best sales, haven’t you? It’s a great week for shopping! All kinds of things are on sale. And with it being the beginning of the month, hopefully you have plenty of room in your grocery budget to get a good stockpile going. Awesomeness! Here are some recipes that work well with the things on sale this week. 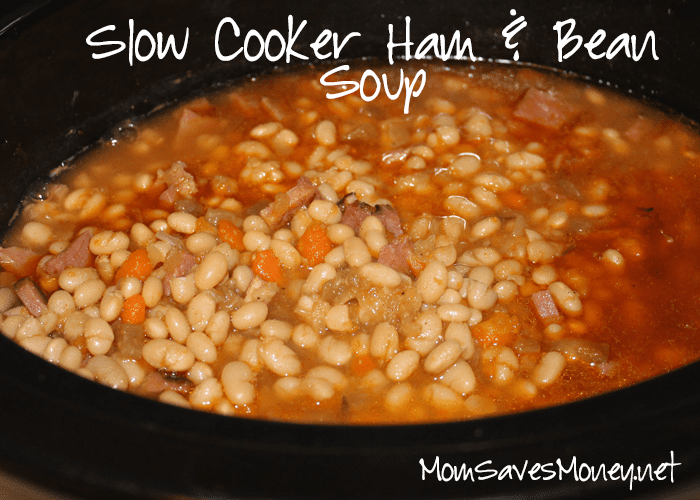 Slow Cooker Ham – I’ve never really cooked a ham before, but I think I’m going this weekend! We’re hosting Easter dinner, but it’ll just be 4 adults and 2 little ones. I’m expecting to have lots of leftovers, which is fine by me since I love ham. I’ll probably use the leftovers in Ham & Bean Soup (see below), Hot Ham & Cheese sandwiches, or these ham, cheese & bacon English muffins. Beef & Veggie Stir Fry – We love this stir fry with steak, fresh broccoli, carrots and onions. Just don’t forget the ginger – I did that once and it makes a big difference! Seasoned Turkey Breast – I admit to not being a big turkey fan, but I think this looks wonderful! More like a tenderloin than a big turkey like you see at Thanksgiving. Baked Penne with Italian Sausage – Ground Italian sausage is on sale at Fareway – pick some up, brown it up and freeze in portions for later. Just make some of it into this easy pasta dish. Marinated Chicken Breasts – Looking for a lighter meal after a heavy Easter dinner? This is a can’t-possibly-get-any-easier recipe is great for baking in the oven or grilling out doors! I like bean and bacon soup. The kind that comes in a can with a red & white label. (Umm…yeah…Campbells.) This soup is fairly close it – except with ham instead of bacon. And it’s homemade, which seems to be healthier even if it really isn’t. But what I love about its homemade-ness is that it makes for a simple way to use leftover ham. Just in case you’ll have some this weekend! Rinse beans in a colander. Put in slow cooker. Put veggies, spices (except salt), oil, broth, water in the slow cooker. Cook on low for about 8 hours or until beans are soft but not mushy. After about 4 hours, add the ham. Add salt, if needed when done. Serve!